At the signal from the announce to let go the Khom Loi (floating sky lantern), we were just mesmerised by the amazing sights of the sky filled with thousands of sky lanterns floating almost in a similar pattern rushing toward the full moon. 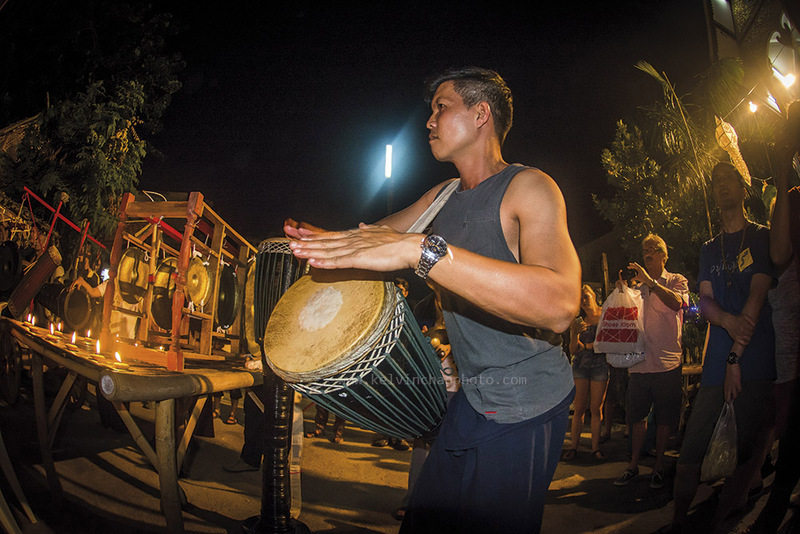 For us, the first timers attending this event was an overwhelming experience but it was soon over as the thousand of lanterns disappeared in the night sky. 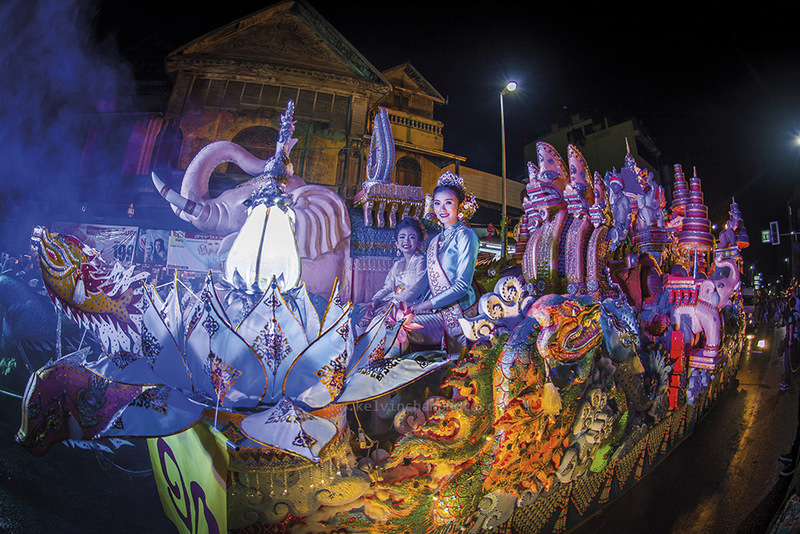 Yee Peng, the Northern Thai Lanna Festival is held at the same time during the Loi Krathong 25 November 2015. 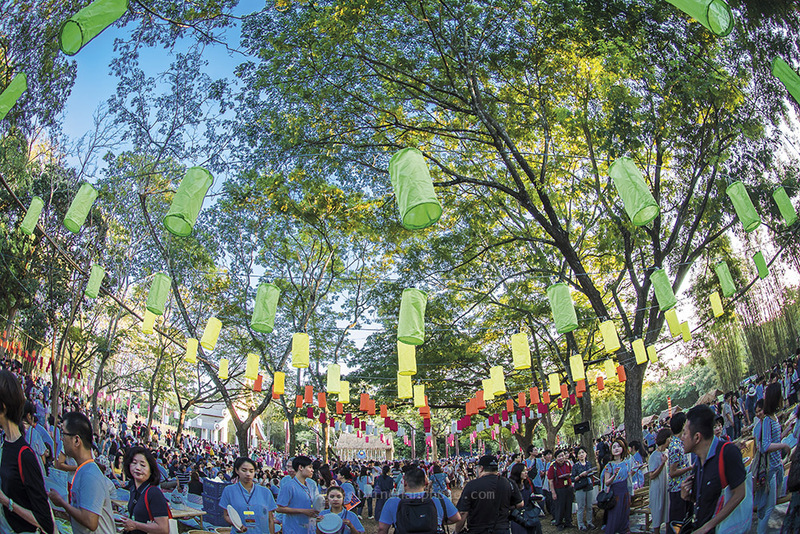 There are pocket of areas where sky lanterns are release during the 3 days of celebration. 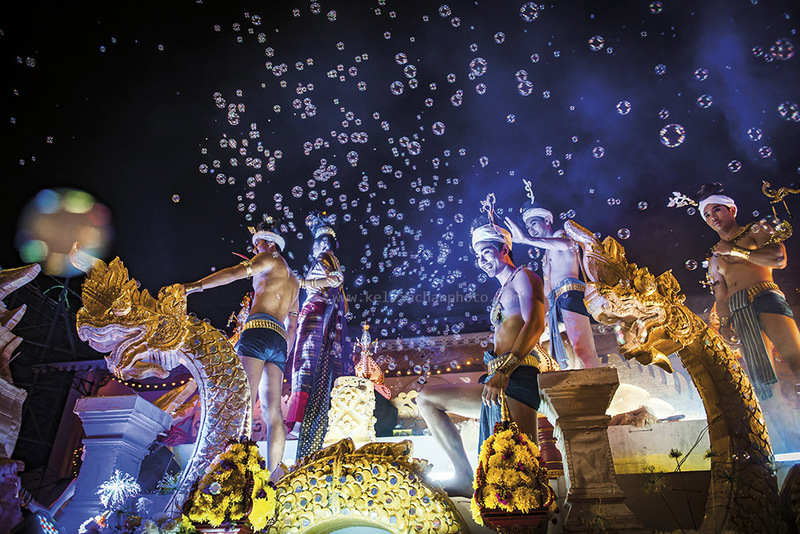 It is the Yee Peng Lanna International Ceremony that is most popular with tourists. It is a paid event with the proceeds contributed to local charity. Limited to 3 thousand ticket holders, the event itself is well organized with guided transportation and refreshments. By late afternoon we had picnic where you can enjoy Thai dishes and desserts in a tatami-style seating underneath overhanging trees adorned with lanterns. As the sunset we adjourn to the thousand of chairs arranged neatly in a spacious field. At the center of the field is a raised platform for the monks to sit in front of the statue of Buddha during prayers. 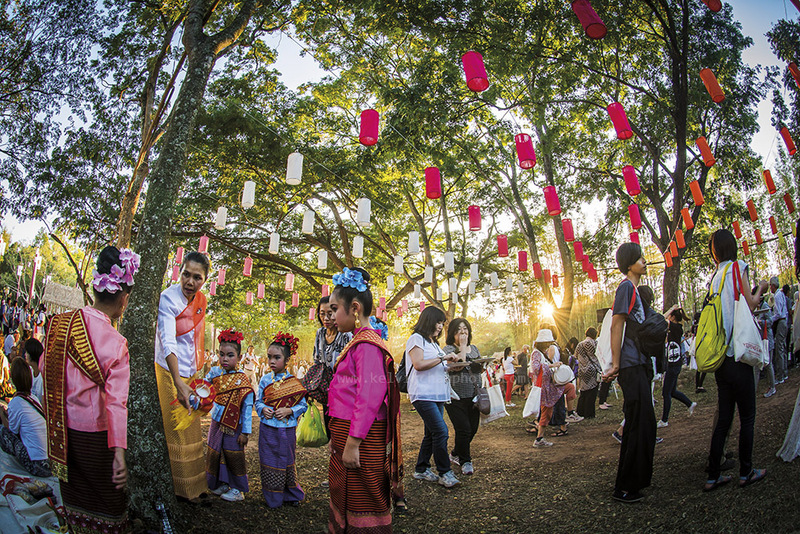 The beginning of Loi Krathong is mark with a public launch in the evening at the Tapae Gate. A stage is built next to Tapae gate for the opening ceremony after that the parade start from here and goes all the way past the night market and end at the Ping River. 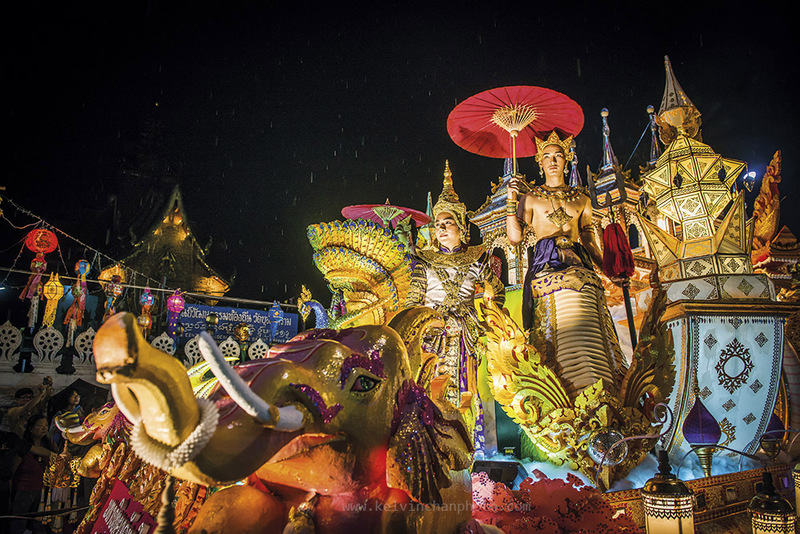 The parade is a combination of huge floats, people in elaborate costumes, musicians and dancers. 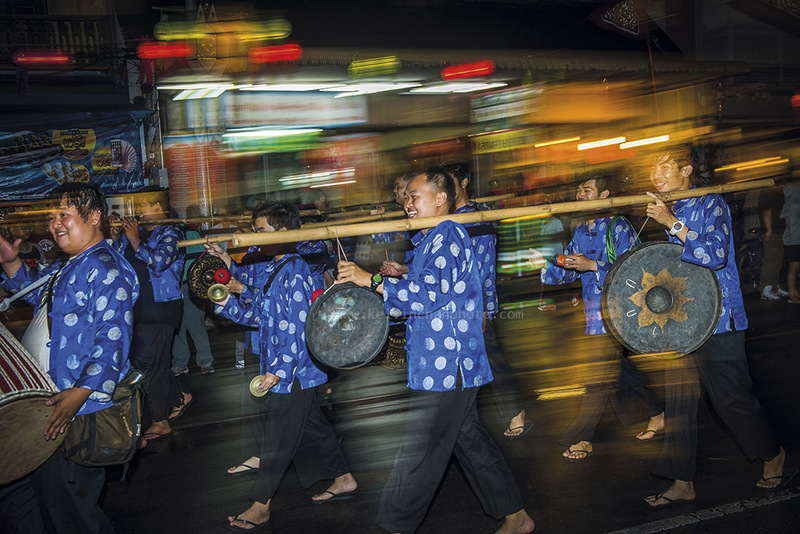 Both sides of the road from Tapae Gate to the night market will be lined with thousands of local and tourists who join in the celebration. 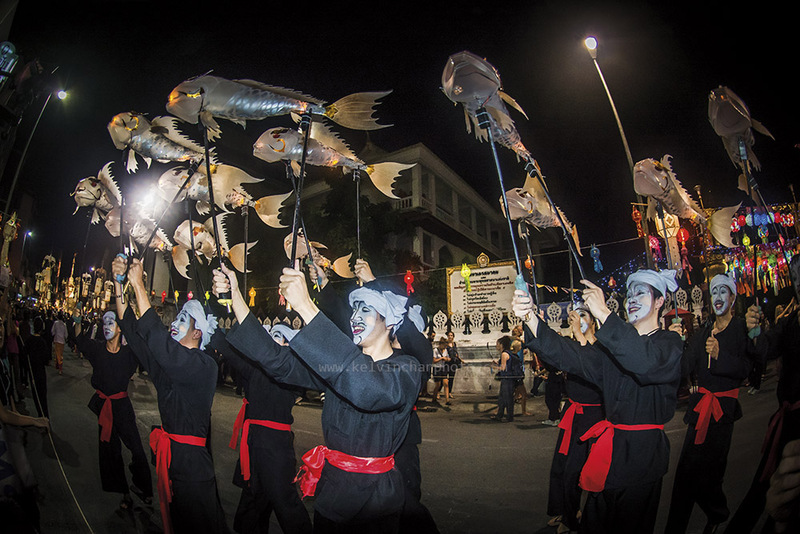 There is another massive street parade on the 3rd day, the last night of Loi Krathong. 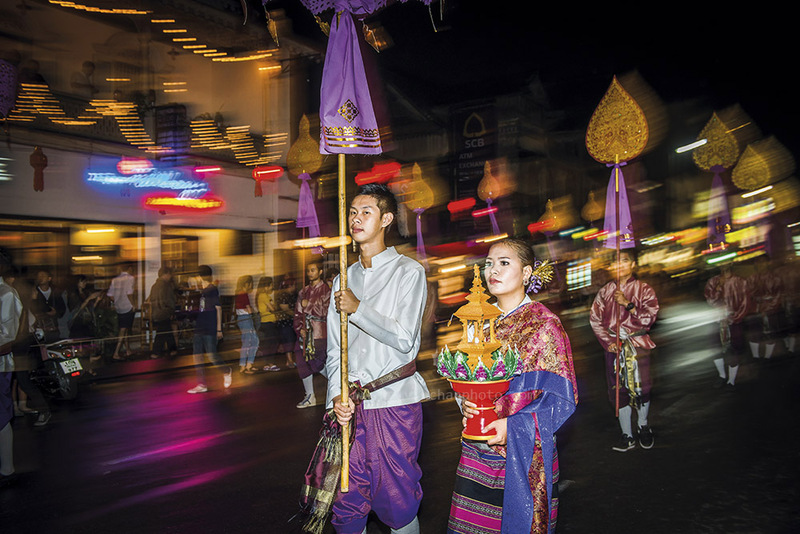 During this period, many temples around the Old City also have their own celebration with prayer ceremonies and lighting of the sky lanterns. 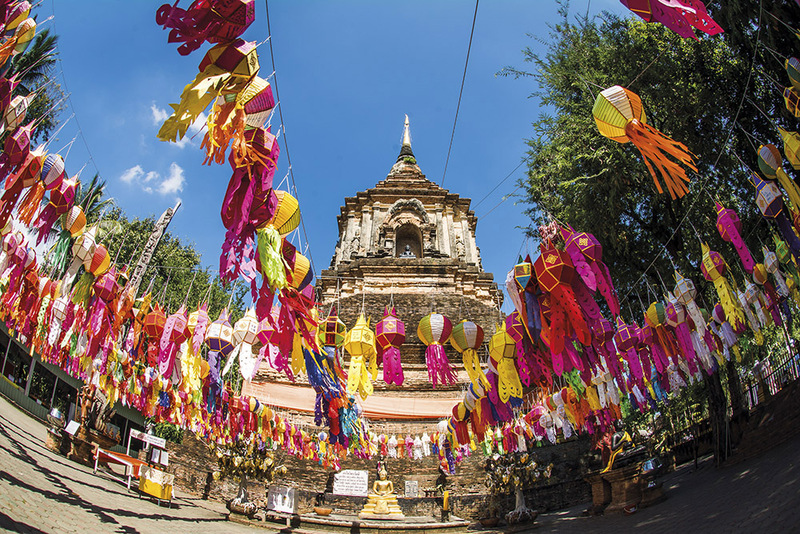 One of the most popular and beautifully decorated is Wat Phan Tao just next to Wat Chedi Luang. 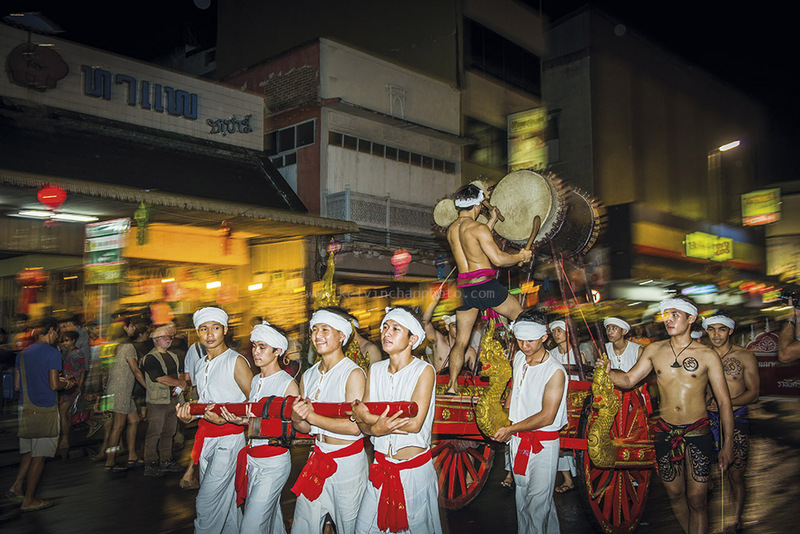 Photographers are known to go and set up their tripod by afternoon to wait for the evening ceremony, which begin after sunset. 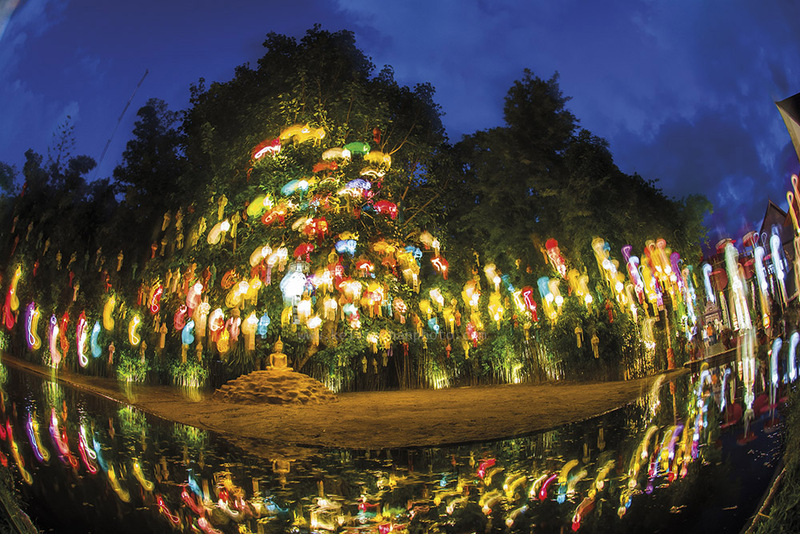 The monks will light up small krathong on the ground and also place some on the water. The highlight of the night is when the monks let off the lighted sky lanterns after their prayers. The compound of Wat Phan Tao is not big so it can get very crowded during the days when they have the ceremony. Fantastic! 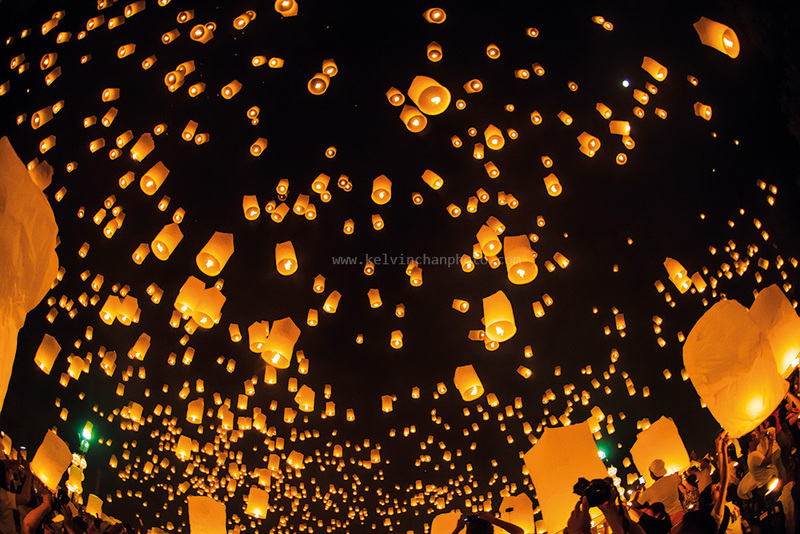 I have always dreamed of seeing those sky lanterns… even one in the sky makes me wistful..
Hei, You can see all this during Loy Krathong in Chiang Mai, usually end November each year.